Lamintex Sp. z o.o. 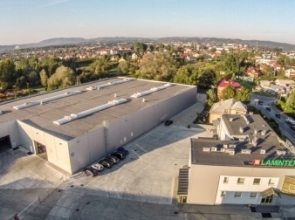 established in 2009 in Nowy Sącz, specializes in the production and distribution of a wide range of windowsills and worktops made with the innovative technology of postforming. The enterprise employs approximately 80 people. Modern production plant, located in the south of Poland, has constantly modernizing technical infrastructure, which enables carrying out of complicated production processes. 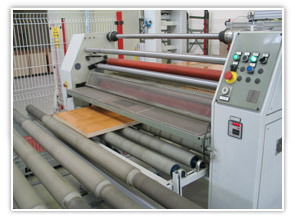 We have a fully automatic production line, equipped with the machinery from world leaders, which consists of the Burkle - processing and gluing line; IMA - trimming, postforming and edging line; Kraft - automatic handling devices; Giben - cutting machine. 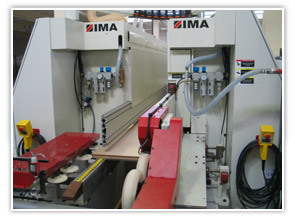 Such impressive machinery makes possible to produce a wide range of elements, both in a scope of sizes, shapes, edges profiles and also applied basic materials and laminates. 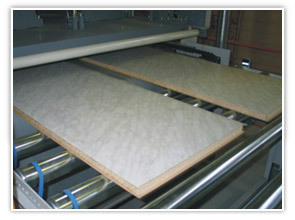 Every month we are able to produce about 150 000 linear meters of products. Moreover, we are vested with expanded logistic infrastructure with a total warehouse of more than 5 000 m2. Confirmation of the highest quality of the products is just introducing the LAMINTEX PRODUCTION SYSTEM, including such tools as: FMEA, Lean Manufacturing, ISO 9001:2015, ISO 14001:2015, among others. Our trade offer includes a wide range of postforming profiles, both in a scope of worktops as well as windowsills, in more than 150 different décors, from all significant world producers. We offer standard worktops and windowsills in lengths from 2440 to 4200 mm, widths from 150 to 1250 mm, thicknesses from 12 to 40 mm. 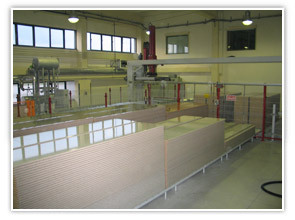 Apart from standard profiles: R-3 mm, R-6 mm, we have also a possibility to produce windowsills “with nose” in radius R-6 mm. Furthermore, we propose a wide range of finished elements cut to required size, with covered side edges (CPL, ABS, melamine). Our answer to the market trends are constantly improved product innovations: among others the sharpest profile on the market with radius R-1,5 mm and WaterStop ® profile, to prevent the spill of liquids or the fall of objects down the floor, additionally making your interior look modern and original. professional service and fast, forward delivery. Our experts answer all your questions with great pleasure. For your individual request we will send you our product samples, décor’s swatches, information materials and trade offers.